It feels like I just got off the flight from Tabor in the Czech Republic, returning from the Cyclocross World Championship last week, but here we are! The start of the new season. They say time flies when you’re having fun. My life is pretty crazy right now. I’m not in school so most would believe I have killer time on my hands. But lots has been happening in the past months and maybe that’s the reason I feel like every thing has gone by so fast. I have been spending the bulk of my summer training and making music. Up in the morning, training until late afternoon, grab some food and then play music until it’s time to sleep. For those who are interested, I am a singer-songwriter and as of last month I have started working with some agencies. I really believe in having more then one hobby—like you have to have something you love other than bikes … and I freaking love bikes. But music allows me to get away from everything for a while, and maybe that’s why I love it so much. So yeah, that’s been my summer. Bikes and music. Wouldn’t have it any other way. On the racing side of things, I’m excited to announce my new team I’ll be riding for, which is “Giant Factory Off-Road.” It’s a great opportunity for me and I’m excited to see how things go. I get to race with, and learn from, some real legends. 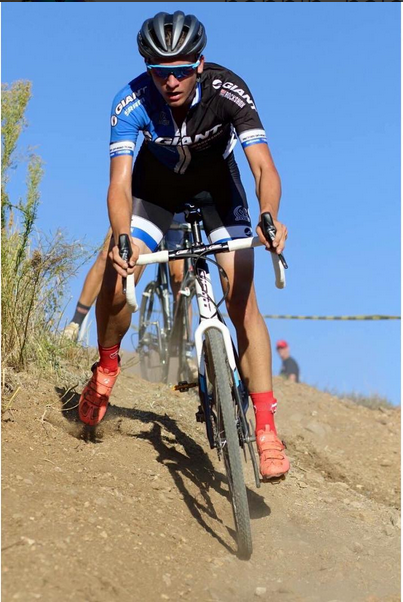 I just had my first race of the season, the West Sacramento Cyclocross Grand Prix (WSCXGP), September 12, and it went surprisingly well. I was able to have an awesome battle with my two good friends, Lance Haidet and Tobin Ortenblad. We all went into the last lap together. Tobin attacked strong and I wasn’t able to follow, but was content with where I am this early. It’s September, and there is a long way to go. Happy with a nice 2nd place. 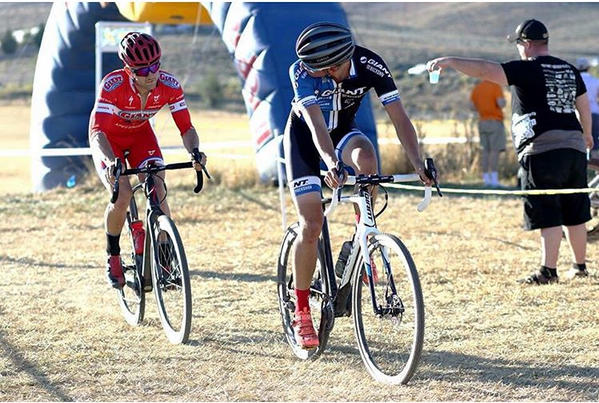 The next day I road tripped to Vegas with my dad and watched the first ever cyclocross World Cup in the U.S. It was an awesome time. I Got to catch up with some great friends and also make my relationship with the Giant team official, which was very cool for me. And now I’m back home. Doing some final preparation before I fly to the east coast and start the UCI block that is Gloucester, Providence, and Trek Cup. I’m stoked to go race the best in the U.S. Been watching these guys since I was 9, and now I get to line up with them. It is truly surreal.